Could it be that simply living close to a Waitrose could increase the value of your property by an average of almost £40,000? According to new research on the so called ‘Waitrose Effect’ by Lloyds Bank, the answer is yes! In fact, it’s not only living close to a Waitrose store that will increase the value of your home, the average increase if you live close to a well-known supermarket is £22,000. Even those that live in the vicinity of one of the discount supermarkets will benefit from a premium, as seen in the list above. In fact, the data shows that there are some locations where house prices trade at a premium due to being located close to a discount supermarket. A great example of this is in the CH60 postcode area of Heswell where there are both an Aldi and a Lidl store, the overall average house price is £118, 000 higher than the average across the Wirral area. Also, in Harbourne where there is also an Iceland store, the house price is on average, £101,599 more than the rest of Birmingham. The average price of houses near the Lidl store in West Ealing is £650,702, compared to £542,724 in the wider Ealing area, which is a premium of £107,978. Chiswick in West London boasts the largest average house price premium when compared with the surrounding area, at a whopping £476,738! The average house price in Chiswick, which offers residents a Waitrose, Sainsbury's and Marks and Spencer, is £961,564. Incredibly, this is almost double the average for Hounslow which is £484,826. Outside of southern England, the largest average price premium is in Wilmslow, Cheshire, whilst in the Ponteland area of Newcastle, which has a Waitrose, Sainsbury's and a Co-op store, the average premium is £206,401. "Our findings back-up the so-called ‘Waitrose effect’. 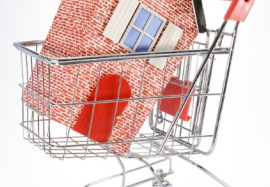 There is definitely a correlation between the price of your home and whether it’s close to a major supermarket or not. Our figures show that the amount added to the value of your home can be even greater if located next to a brand which is perceived as upmarket. Of course, there are many other drivers of house prices beyond having a supermarket on your doorstep, but our research suggests that it is a strong factor."